We usually do not review apps at Survival Guide, unless we find an app, which we find to be potentially useful for our readers. A good app is something we all need to make real use of our smartphone and/or tablets. One such app made for the iPhone, which we came across is Eatible. Eatible is a food allergy iPhone app that helps translate your specific food allergen needs, fast and easy! You will get a SMILEY FACE for what you can eat and a SAD FACE for what you cannot. Make use of Eatible to search for specific restaurants or those near your current location. You have to install the app and register. 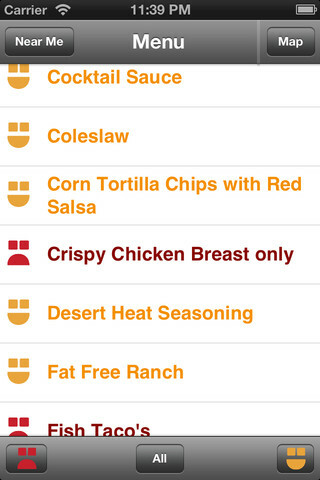 Once you’re inside the app, you can start adding or selecting the food allergies which you have. Once you’ve added the allergies, you can find a restaurant near you or search for a particular restaurant. The menu of the restaurant will be displayed with Smiley and Sad faces to help you understand which all food is made for you and which ones you need to avoid. The app consists of a huge database of over 2,000 menu items which accounts for over 6,000 menu item allergies and growing! Eatible has compiled data from each restaurants’ publicly released food allergen data. Team Eatible has worked very hard to make sure our database is accurate, but it is always recommended that you inform your allergy to the server to ensure what you get is safe. What the app needs is a better list of restaurant menu and it will become incredibly helpful. You can get the details and download Eatible from the Apple App Store.